Listen, I’m as much a fan of a good old fashioned metaphysical crisis as the next guy, but rarely is that theme taken as literally as it is in AMC’s Preacher. Ironically, it’s also the main reason I tuned in every week for the show. Conflicts of faith rarely disappoint. I never wanted to, mind you, think that the Preacher comic series was for me, one of those series all your friends tell you to check out but you never do. There was even something about the trailers for the show that never clicked for me and, coupled with AMC’s track record of disappointment, I just didn’t get too excited about it. I should also confess I never did get around to reading the comics either (of course letting down all those friends.) Only after I stubbornly watched the first episode did I fully grasp the weight of my folly. Forgive me friends for I have sinned. Preacher is indeed amazing. 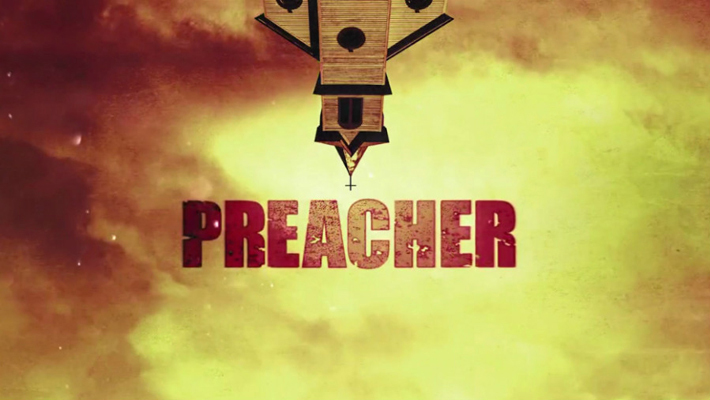 With the second season on the way, I think it prudent to go over the best and the worst of Preacher’s freshman outing and also discuss what I hope to see next season. The first season overall delivered a mostly high octane and entertaining, if not unusual, experience. At times it came off as a little too subdued due to the confined nature the story’s focus on the town of Annville. One of the most enticing parts of the series, and to a large degree I believe the original comic, is the craziness of it. It’s chaotic, it’s gory and it’s kind of ridiculous but in the best way possible. 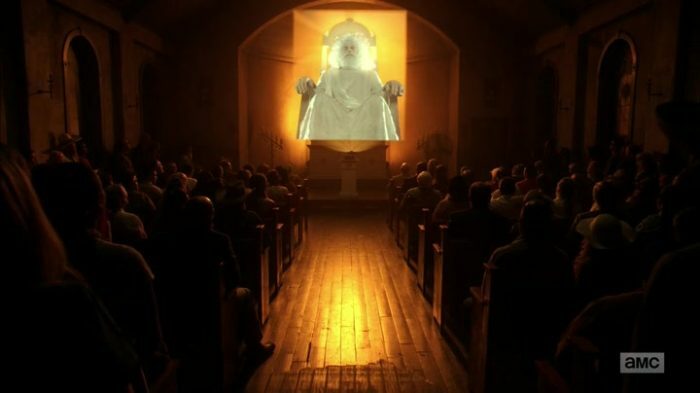 And let’s be clear, when crazy is in the driver’s seat, Preacher shines as bright as the light of God (or maybe that’s just Tulip), but when it focuses on the doomed denizens of Annville, its luster is a little dull. While the action is pretty stellar in Preacher, it’s really our trio of leads holding the whole thing together. 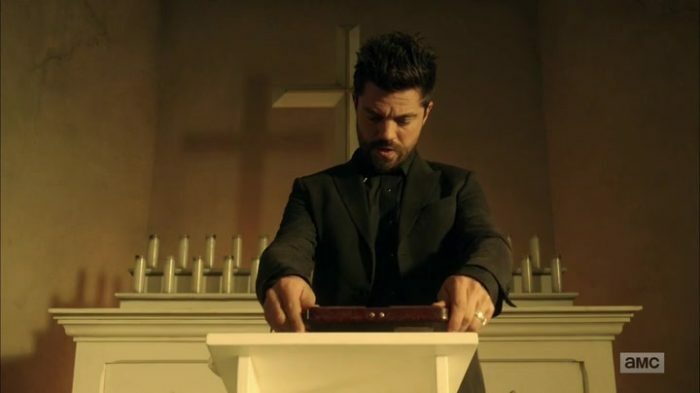 First there’s Jesse Custer (Dominic Cooper), the titular preacher with a lack of faith and a shady past trying to make up for all the bad with a little bit of good. Tulip O’Hare (Ruth Negga) is the no-nonsense badass with a heart of gold and also probably a gun. She used to be Jesse’s partner and lover. Now she’s more of a revenge seeker, though still a badass. 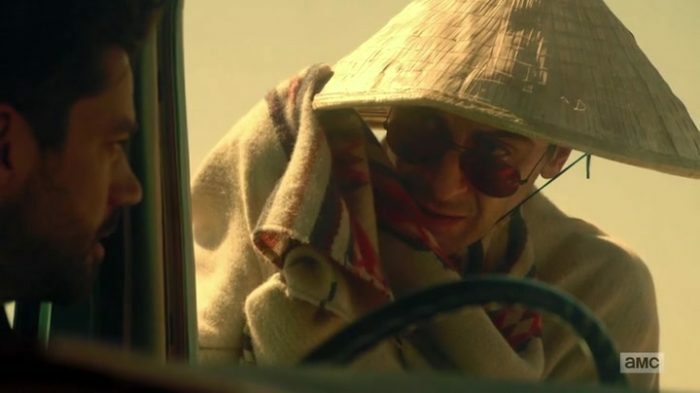 Then there’s the lovable Cassidy (Joseph Gilgun), Annville’s resident vampire (well, he just dropped in for a spell), who oddly enough is the group’s moral center but also its drunkard and druggie with a penchant for blood, animal blood…mostly. The core of Preacher’s first season is rooted around Jesse, the church, and his newly acquired power, Genesis. As we find out it is not, as Jesse believes, a power gifted to him by God but the reprehensible result of procreation between an angel and a demon. Essentially Genesis grants Jesse the power to compel anyone to do whatever he commands. 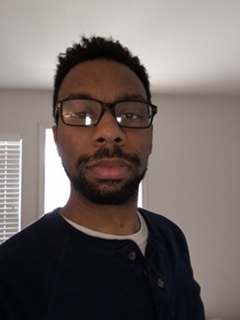 The process of finding out exactly what Genesis is keeps Jesse flailing between the extremes of conviction and apostasy while subsequently somewhat stunting the more compelling arcs of Tulip and Cassidy. The first season lays out some interesting groundwork, though, that will put season two on pace with the comic, likely picking up right where the first comic starts. 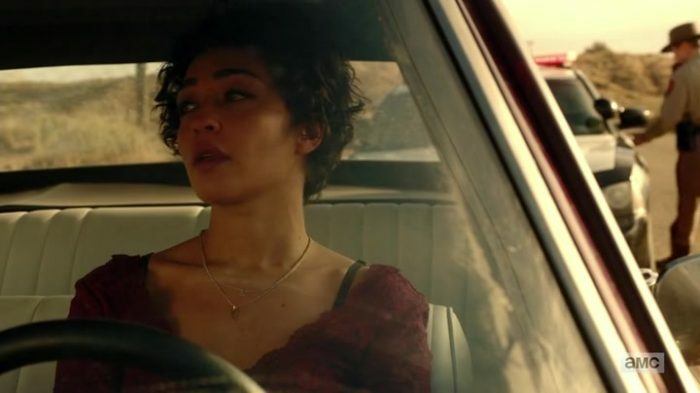 Finding God will be a refreshing change of pace for these characters (that’s just a weird thing to say seriously, but for Preacher it’s absolutely true.) The relationships built throughout the course of the first season between the three leads is arguably the best part of the show and will undoubtedly pay off in what looks to be a crazy road trip of second season. Now the extent in which the people of Annville will have an effect on the story in the next season will be a point of interest to me. Particularly, since we spent so much time with Emily and Mr. Quincannon and others during the season, it would feel like kind of a waste if nothing comes of it, but it’s hard to see how anything can, considering they’re all dead. You never know; we are talking about a show with an Asian-style conical hat wearing vampire. Really, the possibilities are endless. At the very least, we can expect to see Arseface again, the kid who royally screwed up a murder-suicide leaving his face horribly disfigured and young girl brain dead. As a new resident of Hell, he’ll either be in the second season as just a mental projection of Jesse’s or perhaps we’ll actually pay him a visit in Hell. Why the hell not, right? We unknowingly were there visiting The Saint of Killers last season. Preacher is gearing up to take this show out on the road. Check out the next season’s trailer and join me on planet hype. There’s a lot happening in the trailer but again, not having read the comics it’s hard to disassemble the chaos taking place and make any sense of it (just the way I like it.) One thing’s for sure: Preacher is keeping the pedal to the metal as we race towards season two’s release on June 25 on AMC.